The aim is to enhance the cybersecurity potential of ASEAN tech professionals. 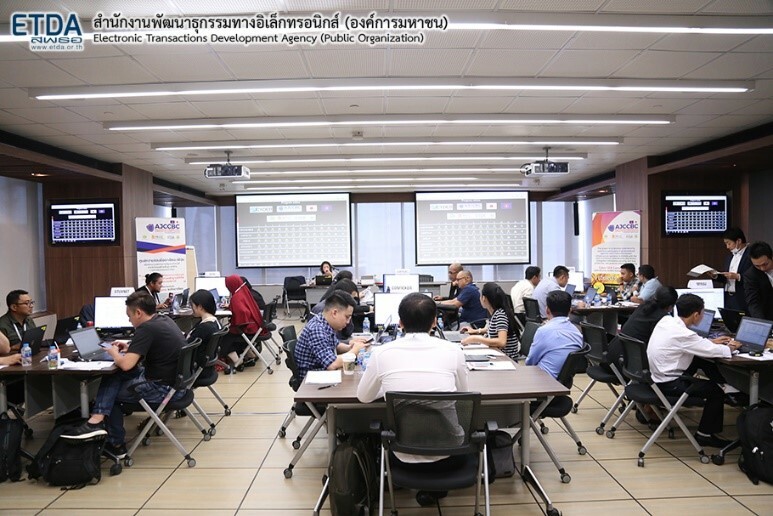 According to a recent press release, the Electronic Transaction Development Office ETDA,) recently organized a training session for cybersecurity personnel from the ASEAN member states for the 5th time at the newly established ASEAN-Japan Cooperation Center (AJCCBC). 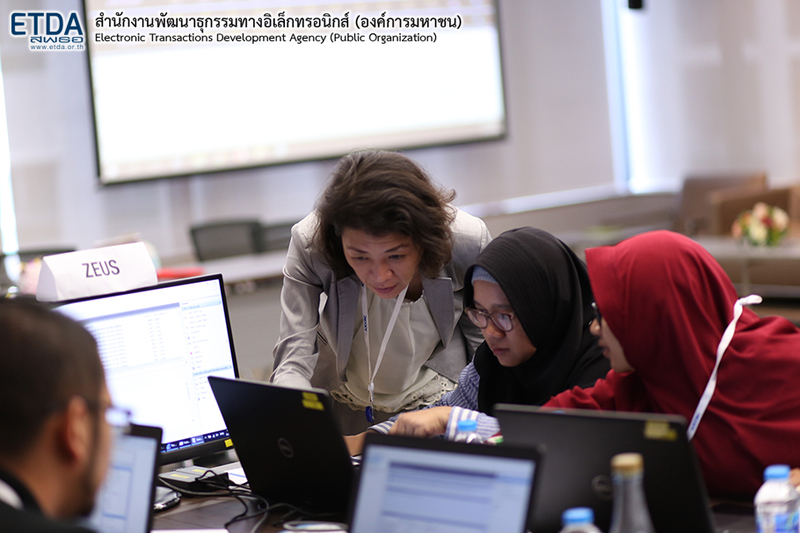 The training session aimed to develop personnel, security, cybersecurity within Thailand and other ASEAN member states. CYDER (Cyber ​​Defense Exercise with Recurrence): this program focused on dealing with cyber threats. The course, taught by Japanese cybersecurity professionals, was reportedly successful in Japan. Moreover, it is currently one of the largest courses that the Japanese government uses to train cybersecurity personnel nationwide. Digital Forensics courses: these courses were related to providing participants with the skills and knowledge they need to conduct thorough digital evidence verification involving various cyber activities from cyber-attacks to basic knowledge and practice. This training session was the fifth session to be held. The course saw participants from various nationalities. At the end of the training session, participants became certified cybersecurity officers and were able to join the Cyber ​​SEA Game 2018, which has a total of 159 people. This year 2019, there are four additional more training plans as well as the Cyber ​​SEA Game 2019. The next training session will be held from 27 to 31 May 2019. In August 2018, the ETDA announced the opening of the AJCCBC Center for the Development of ASEAN Cyber officers. Initially, the centre ensured the provision of three training courses on dealing with cyber threats. The ETDA is the main host in the operation as it is an agency that has experience in developing human security and cybersecurity continuously. This centre is supported by Japan both in terms of budget and knowledge, enabling effective training for ASEAN member states. Concurrently, ASEAN countries unanimously agreed to increase emphasis on cybersecurity. The ASEAN ICT Masterplan 2020 focuses on the importance and necessity of the development of information security and assurance. The aim is to promote cooperation between CERT, data governance, and identify and protect important information infrastructure. In addition, ASEAN member states have also established the ASEAN Cybersecurity Cooperation Strategy, which seeks to deepen cooperation between ASEAN member states to strengthen national cybersecurity capabilities, this includes cooperation with dialogue partners and other stakeholders. The vision for the ASEAN ICT Masterplan 2020 is to propel ASEAN towards a digitally-enabled economy that is secure, sustainable, and transformative; and to enable an innovative, inclusive and integrated ASEAN Community. Digitally-enabled: developing programmes for continuing education and upgrading to equip ASEAN citizens with the latest infrastructure, technology, digital skill sets, information, applications and services. Secure: creating a safe and trusted ICT environment in ASEAN, providing reassurance in the online environment by building trust in online transactions via a robust infrastructure, is another main aim of the plan. Sustainable: ensuring that ASEAN states use ICT in a responsible and environmentally-friendly way. Transformative: creating an environment that is progressive and conducive for the disruptive use of technology for ASEAN’s social and economic benefits. Innovative: making sure that a supportive entrepreneurial environment is built and maintained in order to encourage innovative and novel uses of ICT. Inclusive and Integrated: ensuring that citizens and stakeholders are connected and empowered. The ASEAN region stands on the cusp of a historic transition and ICT stands to play a transformative role in fostering an integrated and inclusive digitally-enabled community. A new era for ASEAN requires the successful implementation of a new ICT vision to address and inspire the growing aspirations of ASEAN citizens. ASEAN member states have made clear their commitment to ensuring that the challenges within the Masterplan are addressed in an effective, responsible and cohesive manner. Achieving these objectives will result in a digitally-enabled, inclusive and secure ASEAN.